Owning a car can be a very rewarding experience. At the same time, maintenance and repairs can put a huge dent in your wallet. Luckily, there are several things that you can do yourself to stay ahead of costly repairs and unexpected breakdowns. That is why we compiled a list of the best maintenance tips for your car to keep it running strong and looking good. When creating this list, we made sure to include items that the average person can perform themselves. This allows you to save money by not having to pay dealerships or independent repair shops for easy to do tasks. Additionally, this list will help you become more knowledgeable about your car, which helps you make more informed decisions on what you allow a dealership or repair shop to do on your car. We have all heard of repair shops and dealerships that try to “scam” their customers by recommending unnecessary repairs or by intentionally misleading their customer. Our aim is to equip you with the basic knowledge to protect yourself from that exact situation. So, here we go….. This is by far the most important maintenance for any car. Think of engine oil as the human body’s diet. The more healthy a person eats, the better their body operates and the better they feel. Oil in your car’s engine begins to breakdown and become less effective after time and use. This means that the more you drive your car, the more your oil’s life is reduced. Most car manufacturers recommend that you change your oil in intervals between 3,000-10,000 miles depending on the type of car and type of oil. Check your owner’s manual for the recommended oil to use and the recommended oil change interval. Another important tip for changing oil, is that you should change it at least once a year. Even if you don’t hit your car’s miles limit for oil life, engine oil breaks down over time so it is important to at least change it once a year. 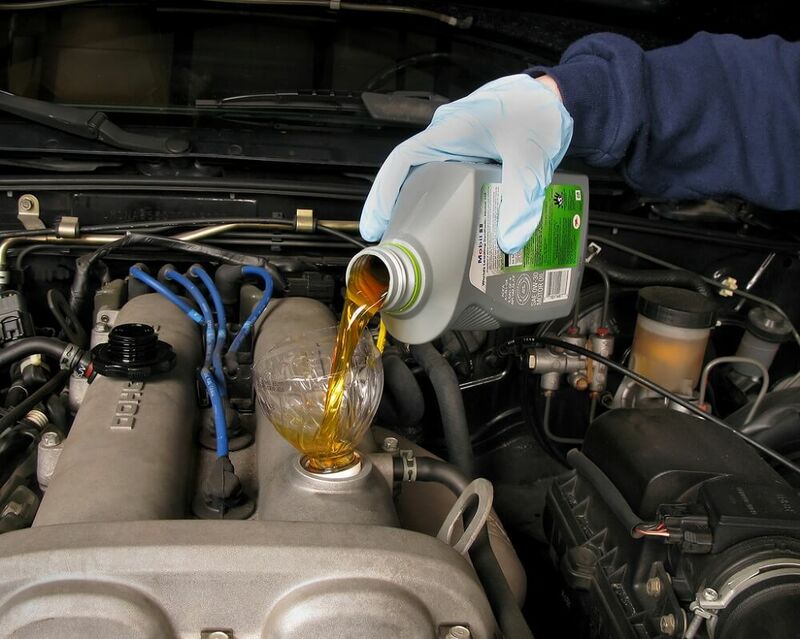 For detailed instructions on how to change your oil, please see our “How To Change Your Oil” post! Every car has an engine air filter that keeps away dirt, rocks, leaves, and anything else that shouldn’t be inside your engine. 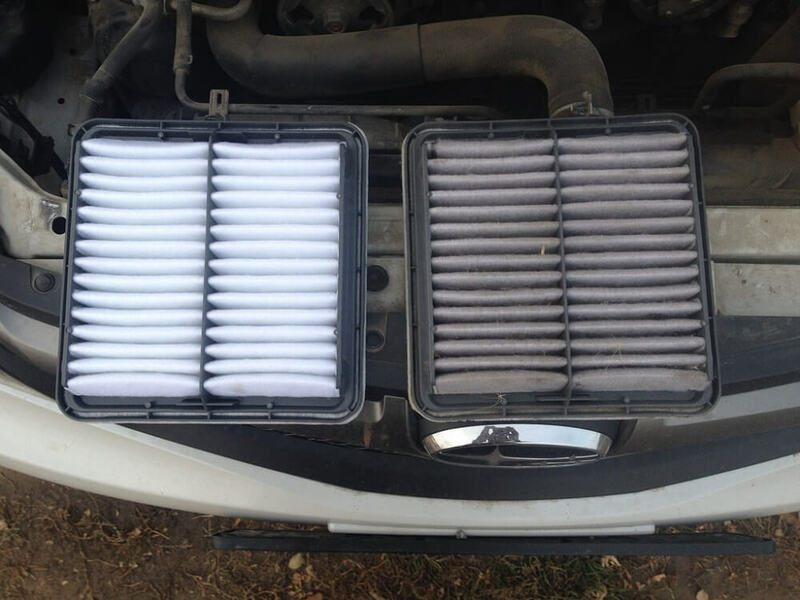 Over time, this filter can become dirty and clogged, which restricts the air flow into your engine. Typically these are very easy to access, so it should be very easy for you to check the air filter. We recommend checking the air filter at least once a year. If the filter looks completely dark with dirt and grime, it is a good idea to order a replacement. Sometimes the air filters can warp, causing gaps where debris can slip past the filter and go straight into the engine. If you see that your air filter is warped, it is time to order a new one. It should be no secret that brakes need to be replaced on every car. The components of most cars’ brake systems are composed of brake pads, rotors, calipers, and brake fluid. Most of the time, brake pads only need to be changed. It is very easy to check your car’s brakes. If you have wheels with spokes that you can see through, you can use a flashlight to see how much material of your brake pad is left (otherwise you will need to take the wheel off). If you have less than ¼ of an inch left of material, it would be a good idea to order new brake pads. Generally brake pads can last anywhere from 20,000 miles to 75,000 miles depending on the type of car and the manner in which it is driven. If you are replacing brake pads, it is a good idea to check your brake fluid as well. If it is extremely dark, you should replace the brake fluid when you change your brake pads. 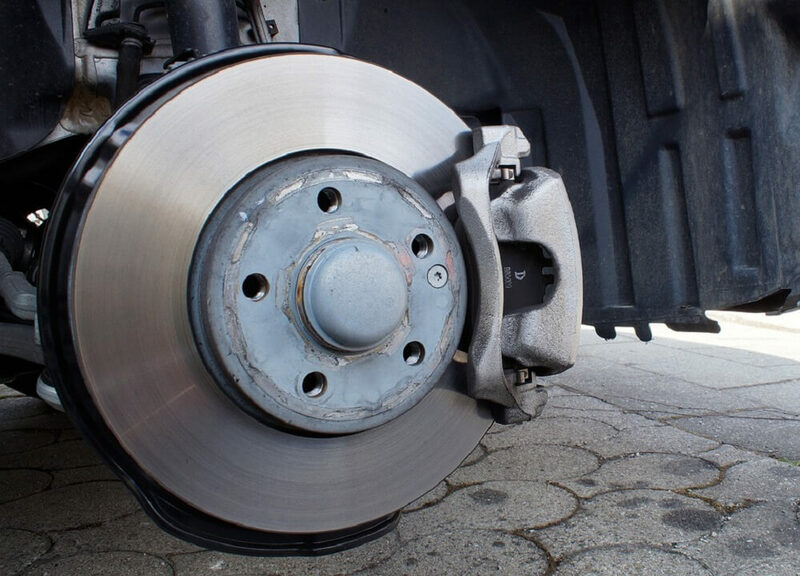 Your car’s rotors will probably need to be replaced as often as you replace brake fluid. Tires are a huge expense item, but the life of your car’s tires can be extended with proper maintenance and care. Simply keeping your tire pressures at an optimal pressure is key to extending tire life and improving gas mileage. Your car’s owner’s manual should have a recommended PSI to keep the tires inflated at. 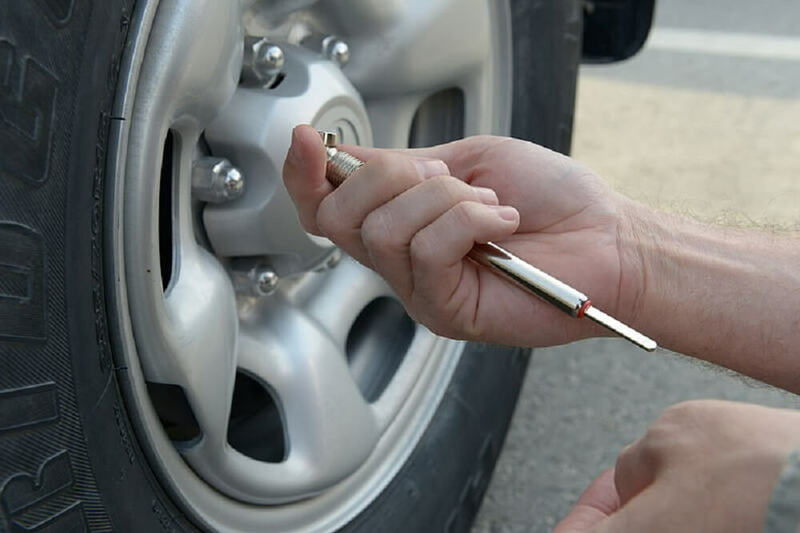 Use a tire pressure gauge to check your tire pressures at least once a month to ensure they are at optimal pressures. Rotating tires can also help extend their life. Rotating your tires simply means switching the front tires to the back, and the back tires to the front. This can only be done if your car has identical sized tires in the front and back. This should be performed about every 5,000 miles. 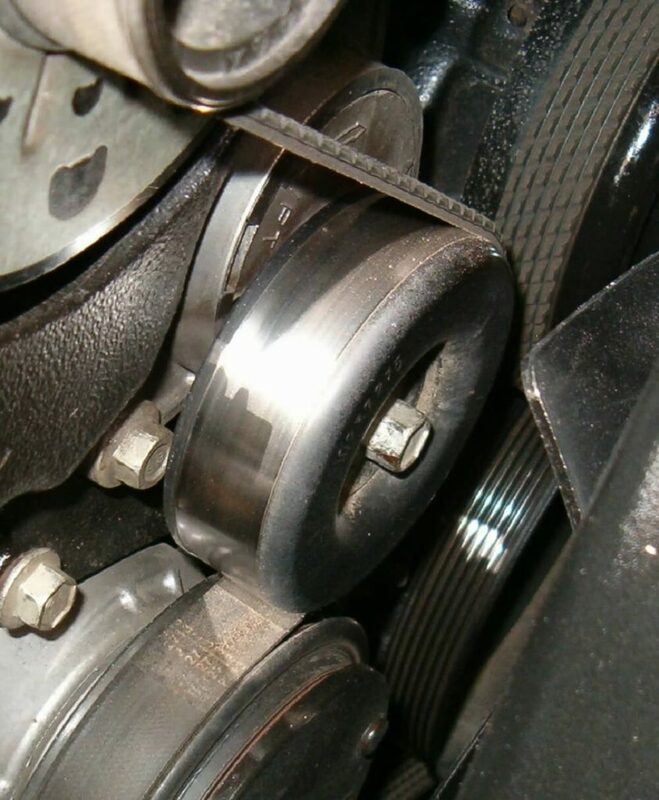 This belt is typically on the front of your car’s engine and is attached to multiple pulleys. It runs important systems on your car including the A/C, engine cooling system, alternator, power steering, etc. It is an extremely important aspect of your car and you should always make sure it is in good condition. If you ever hear a high pitched whine or squeal coming from your serpentine belt, you should change it. Otherwise, it is a good idea to check it a few times each year to make sure that there are no cracks on it and it’s not fraying. Every modern car has a computer system that controls and monitors the engine and various electrical components of a car. When your dash has a check engine light on, it can mean something is seriously wrong with your car or only something minor is wrong. That is a scary light and doesn’t provide much info as to what the problem is. That’s where an OBDII Scanner comes in. 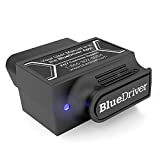 These plug into your car’s OBDII port (which connects to your car’s computer) and can tell you exactly what is wrong with your car.With one of these tools, you can determine how serious the issue with your car is and if you can keep driving it or need to tow it directly to a repair shop. 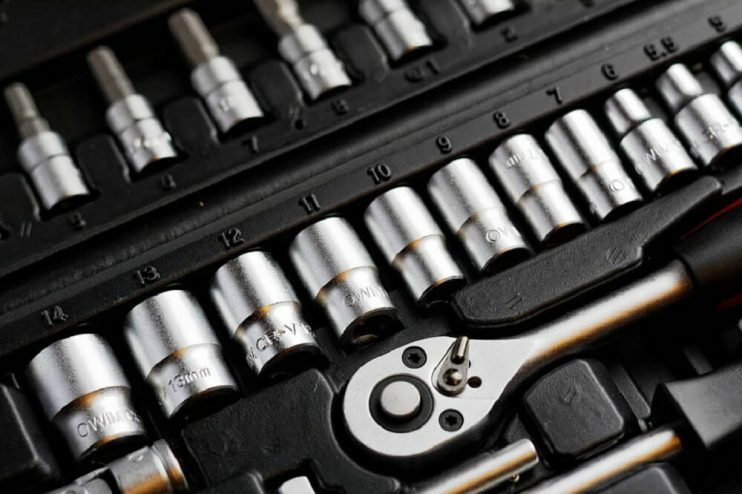 This tool can save your entire engine if the issue is a major issue, or it can keep you from spending a ton of money at a repair shop when the issue might be a minor fix that you can do yourself. These scanners are well worth the small investment! FIX SIMPLE PROBLEMS YOURSELF - Read and clear check engine light trouble codes (both generic and manufacturer specific), reset Check Engine Light, prepare smog test and view real-time sensor readings (O2 Readings, EOT, EGT, Throttle, Boost, Speed, Fuel Trim, etc.) using your phone or tablet. 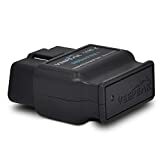 UNIVERSAL VEHICLE COMPATIBILITY - Works with OBD2 / EOBD compliant cars and light trucks (in the United States, vehicles since year 1996 are supported, no brand limitation). Supports all five OBD-II protocols: CAN, KWP2000, ISO9141-2, J1850 VPW and J1850 PWM. This tip doesn’t seem like a “maintenance” item for your car, but in reality it helps keep your car’s paint healthy, in addition to keeping the interior materials in good condition. Why is this important? Well it not only makes your car look better, but it helps your car maintain its value (if you ever go to sell it). 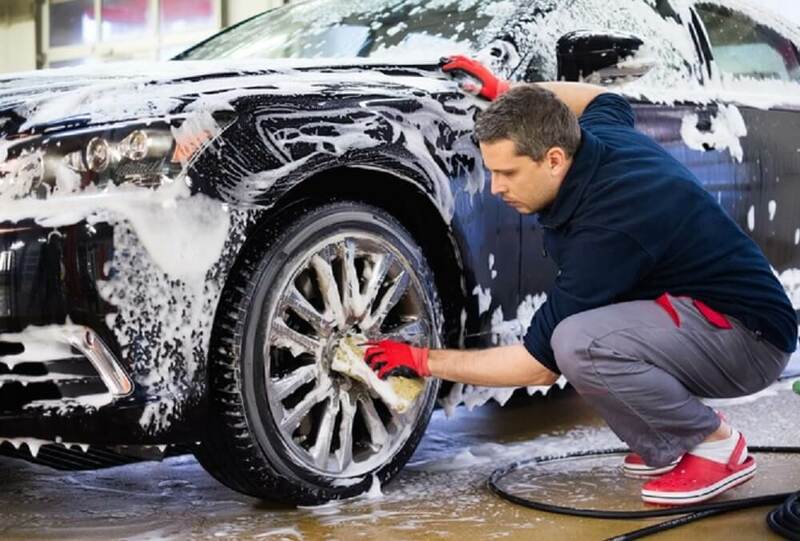 You should wash your car at least once a month, while also cleaning and vacuuming the interior of your car. Using wax on your car’s paint also helps to protect the paint and make it shine brighter. Equipped with these maintenance tips for your car, you should be able to keep your car running stronger for longer! Never neglect your car, think of it as an investment, where all of the work you put into it, you will get back with years of reliable transportation!